Course Website: Official Website - Visit Caledonia Golf & Fish Club's official website by clicking on the link provided. 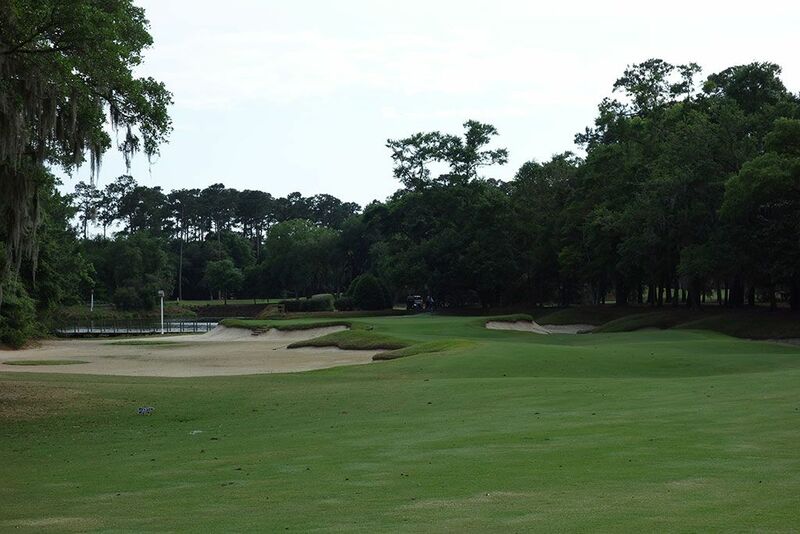 Accolades: Ranked 3rd in South Carolina on Golf Course Gurus' Best in State list. What to Expect: Caledonia was the late Mike Strantz' first design and has a more traditional feel than the neighboring True Blue course that he designed four years later. 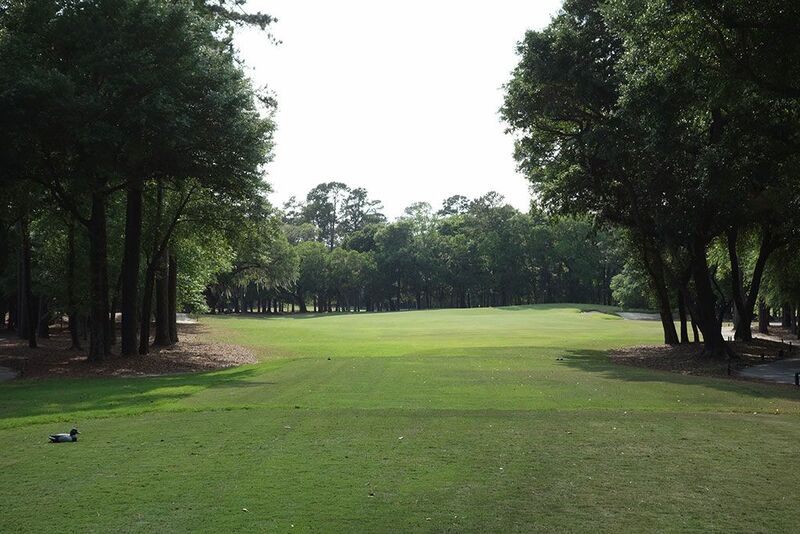 The course is just over 6500 yards from the tips and plays to a par 70 so it isn't as punishing as other highly acclaimed courses on the Grand Strand. Before embarking on your round, players are treated to a cup of absolutely fantastic crab chowder that was spicier and not as thick as I was expecting. It was just an awesome southern kickoff to a great course. 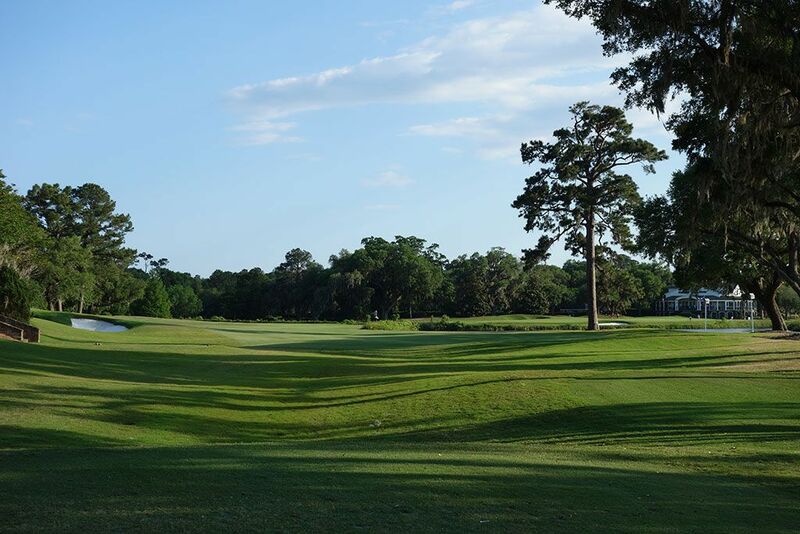 Attractive landscaping is found throughout the course with colorful flowers complimenting the sprawling spanish oak trees that are iconic to the property. The trees that frame every hole help give some separation between the holes which is nice considering how small the overall property is and how tight the routing had to be. 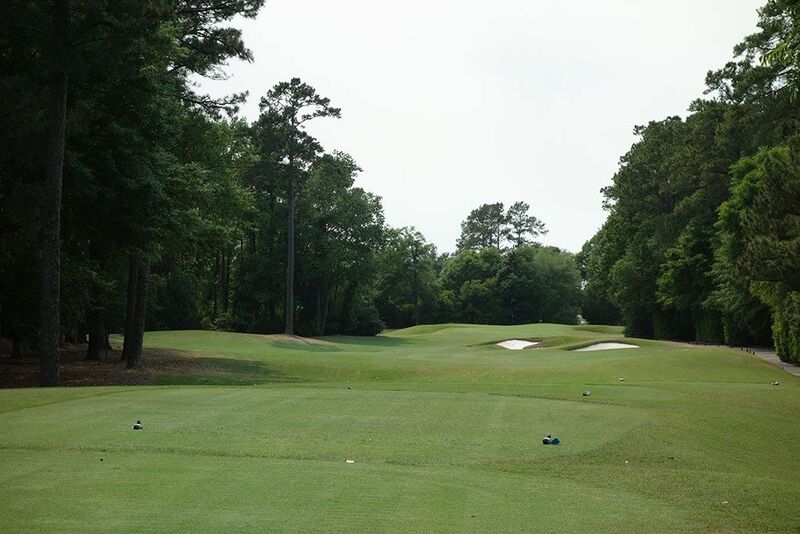 The zoysia turf is very well manicured and offers lies that sit up in the fairway and the greens roll beautifully. There are a handful of water hazards scattered throughout the course and you are almost guaranteed to see some sizeable gators coasting the surface or lying on the nearby banks. While many of the holes are memorable for good reasons, the 9th stands out as an odd hole that doesn't fit the routing and tips out at a mere 118 yards. 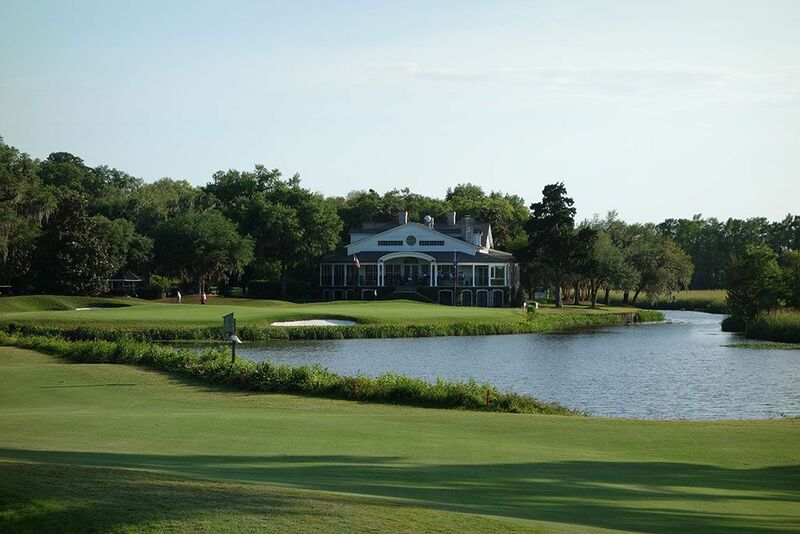 Few courses have a better southern charm or feeling than Caledonia and its standing among the Top 100 public courses in the country is well deserved. Signature Hole: 18th Hole – 383 Yard Par 4 – The closing hole at Caledonia is a fitting ending to a beautiful course. This mid-length par four plays out a bit to the left to a fairway that can run out of room for long hitters as water comes into play. The approach shot plays over water to a deep green protected by four bunkers with the clubhouse framing the background. In a course full of strategy and intrigue, the 18th is the perfect ending to Caledonia. Best Par 3: 3rd Hole – 187 Yards – A very deep green greets you on the 3rd hole where three distinct tiers creates some intriguing pin placements and challenging putting scenarios. Sand covers the terrain from the tee box to the green and creates not only an intimidating challenge but an impressive visual that contrasts against the green grass and towering trees. Strantz is a master of designing memorable par threes and this one fits right into his impressive portfolio. Best Par 4: 13th Hole – 398 Yards – When I check into the pro shop I almost always ask the person checking me in, "So what is your favorite hole out there." The response at Caledonia was, "We have a couple of obvious choices like the 18th, but #13 is my favorite." I agree, 13 is a great hole with a green site that reminded me of a combination of the 13th and 15th green at Monterey Peninsula Country Club's Shore course that Strantz redesigned in 2004. 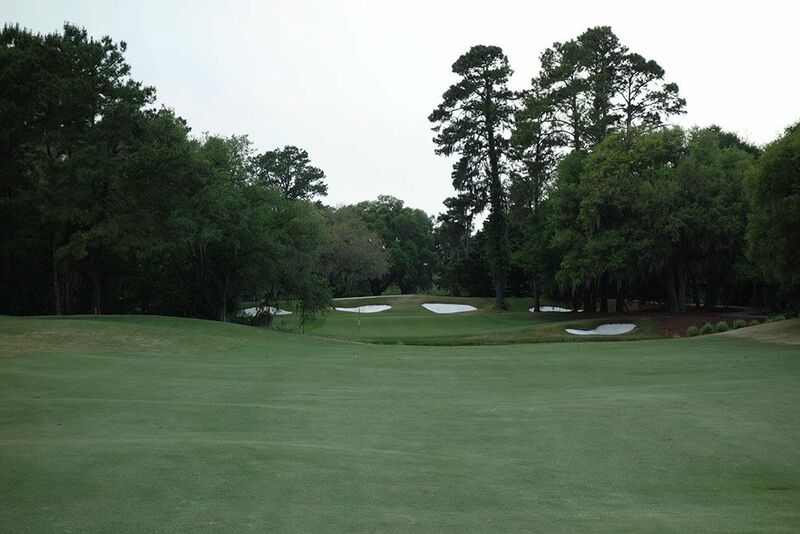 This attractive dogleg left has a fairway bunker on the right and plays to a green with bunkers sweeping up on the sides and boasting water in the rear. Though the terrain isn't naturally dramatic, Strantz created perhaps the most impressive approach shot on the course here. 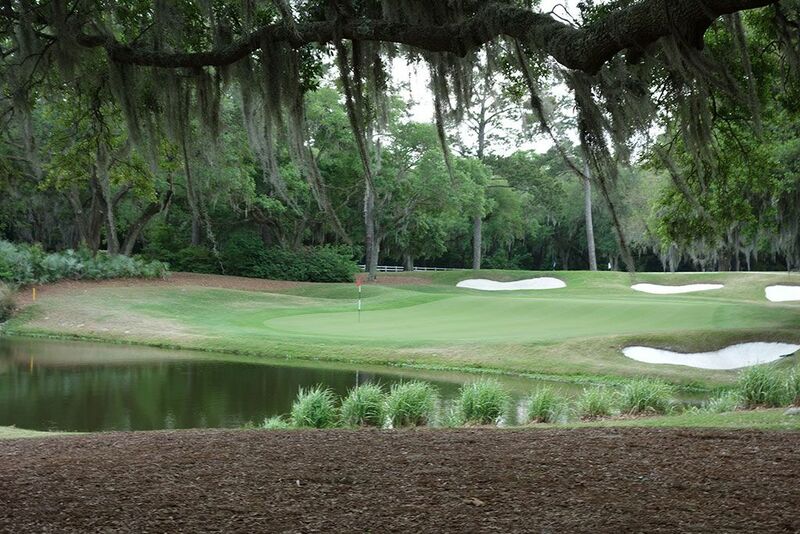 Best Par 5: 8th Hole – 528 Yards – This is a great risk/reward hole that is plenty reachable for longer hitters. 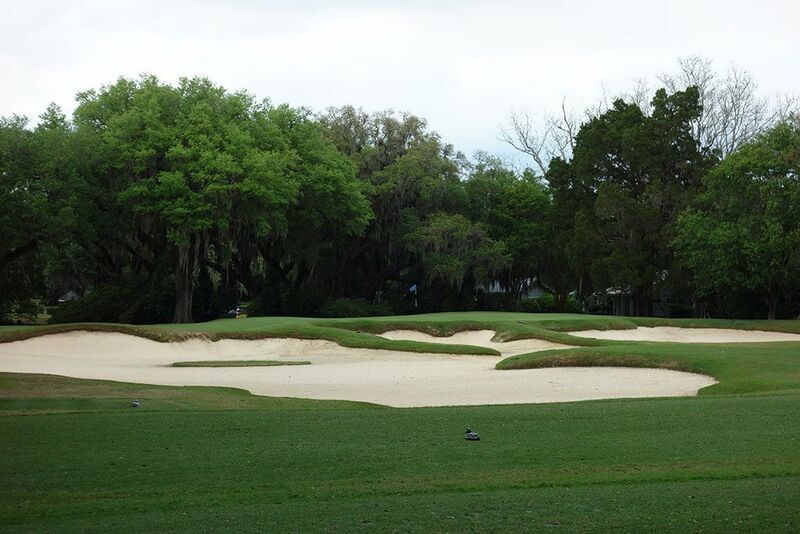 A series of bunkers line the right side of the fairway and must be avoided if players want any chance of attacking the green in two considering the putting surface is fronted by water. 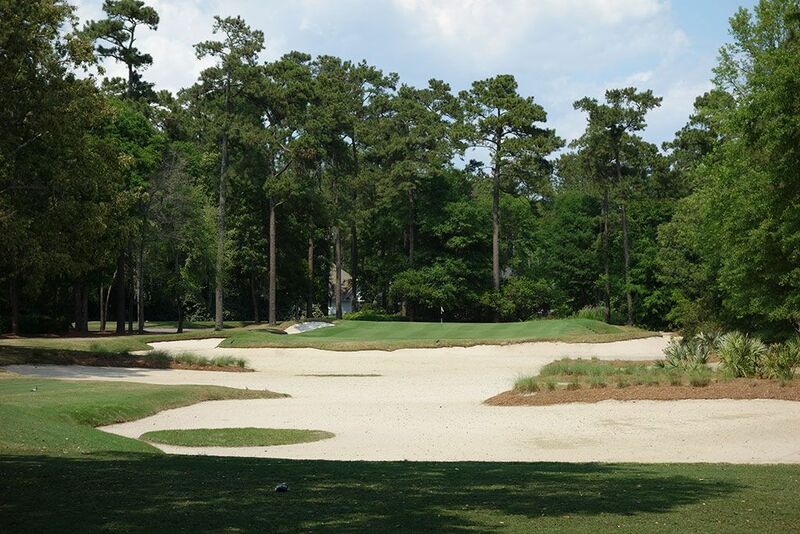 The green features a sloping tongue on the front third with a steep hill to climb when the pin is in the back third. If the pin is in the front there isn't a lot of incentive to reach the green in two since the slope in the middle of the green can be so easily utilized in working a wedge shot back to the flag. That being said, this hole is short enough that if you hit a high ball then taking a run at reaching this hole in two creates a great scoring opportunity. Birdie Time: 9th Hole – 118 Yard Par 3 – As good as the routing of Caledonia is on a small piece of property, the 9th hole stands out as an odd fit both in location and length. At just 118 yards from the tips, every player will having a scoring club in their hand with a perfect lie waiting to greet you. The green is very wide and fairly deep so landing on the putting surface in regulation is more likely here than any other hole at Caledonia. With at least three guys in your foursome likely staring down birdie putts, there is a good chance someone drains one. Bogey Beware: 5th Hole – 419 Yard Par 4 – Though the length isn't overly intimidating, heavy forest on each side of the fairway presents a tee shot that may have your knees knocking trying to pipe one down the center. A lone tree stands on the left side of the fairway and can cause havoc with your angle into the green if you find yourself on that side of the hole. The green is slightly raised with edges sloping to chipping areas that can prove to be difficult to successfully get up and down from. It may not look like much on the card, but taking a bogey here can sneak up on you quicker than you think.